Topical Oil … For Relief You Can Count On! 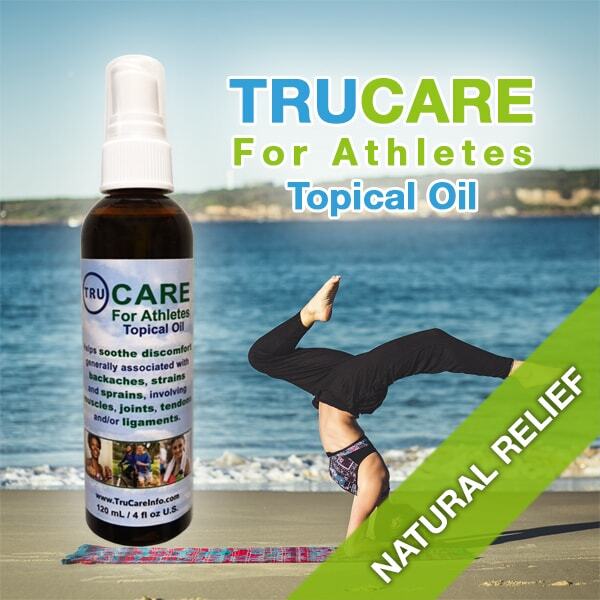 TRUCARE For Athletes Topical Oil helps soothe discomfort generally associated with backaches, strains and sprains, involving muscles, joints, tendons and/or ligaments. If you need relief from aches and pains due to sport injuries or chest colds you must try TRUCARE For Athletes Topical Oil which comes in a convenient Plastic Bottle & Pump Applicator. It has a proven track record in giving amazing results to those who use it. Recommended for muscle aches, sport injuries and chest colds. Because hemp oil is a carrier oil it takes the essential oils to the affected area, giving almost immediate relief. 1. Apply a small amount of spray (a little goes on long way) onto the affected area. 2. Massage gently in a circular motion to help it penetrate. 3. Wait for the relief to come. Most say you will results in as little as 20 minutes or less. Most see relief after 1 application but you can safely use TRUCARE 3 or 4 times daily. Eucalyptus Essential Oil is the only medicinal ingredient in TRUCARE. The medicinal benefits of eucalyptus essential oil are wide ranging such as anti-inflammatory, anti-spasmodic, anti-bacterial and including stimulating and pain relieving characteristics. Eucalyptus essential oil is also often recommended for addressing rheumatism, lumbago, fibrosis and nerve pain. Hemp Seed Oil is a natural carrier oil. It is also renown for its natural anti-inflammatory, anti-bacterial, anti-fungal, analgesic and anti-oxidant properties owing to an abundance of the naturally occurring rare fatty acid called gamma-linoleic acid (GLA). Sunflower Essential Oil is also anti-inflammatory and reduces inflammation. Camphor Bark Oil, also known as a sacred herb, is known as a counter irritant that improves blood flow in a muscle relaxant that effectively reduces pain and swelling. It is also an effective stimulant, which boosts the activity of the circulatory system giving relief from the pain of arthritis rheumatic diseases and gout. It is a very efficient antispasmodic and gives immediate relief from spasms and cramps. Due to its cooling and penetrating effects, it makes it an anti-inflammatory and sedative agent which is helps in bringing relief to nearly all types of inflammation. Its cooling effect also helps to relax the body and mind while giving a feeling of peace and freshness. The deeply penetrating oil is also a powerful decongestant, immediately relieving congestion of the bronchi, larynx, pharynx, nasal tracts and lungs. Wintergreen Essential Oil is known for muscular and skeletal pain relief as well as for treating rheumatism and arthritis. It is equally as effective in aromatherapy in relaxing and uplifting the human spirit. Peppermint Essential Oil has shown to be a natural pain reliever and is known to help release tight muscles and helps to alleviate pain due to headaches. Everybody in my Facebook feed who are local is complaining of having the Flu/cold and after being on TRUFORMULA for almost 2 years, we’ve not had a sniffle!! The vitamins and live enzymes are working on our immune system, the best thing for Seniors!! A gotta have to protect the whole family! I had a tooth extracted on Oct. 11th, and have been applying the TRUCARE on the jawline on the outside and felt immediate relief of the throbbing within, the ingredients of camphor and Cannabis Sativa oil and peppermint just a few of the ingredients that penetrate and take away the pain within! Thank goodness for these products! I sometimes wake up with terrible charlie horses in my feet and calves. I keep a bottle of the TRUCARE by my bed. I apply it as immediately and within minutes the cramp is gone. This product is amazing, it is so quick acting. I have suffered from arthritis, in my hands, for the last few years and would normally take some sort of pain medication to obtain relief. Then I discovered TRUCARE and heard from others, that it has other benefits besides those listed on the container. I use only a few drops on my hands and rub the liquid into the areas with the pain. In less than 15 minutes the pain is gone. On most days it does not return. Sometimes it does return by evening and I just rub another drop into the affected joints and am able to sleep pain free. This product is a must for every 1st aid kit. I have arthritis in my hands and by using this product daily, my pain is completely gone. I use it daily on my hands to prevent the pain from coming back. I have noticed more use from my hands, less stiffness and now pain free. I also rub it on the back of my neck each night and it soothes and relieves tired muscles. I do the same with my legs to soothe them each night. I love this amazing product. I suffer from Fibromyalgia, among other things, and the pain can be unbearable. When I heard about how so many people were getting relief from other painful conditions such as arthritis, sport injuries and the like decided to give TRUCARE For Athletes Topical Oil a try. I couldn’t belief that it could help so much when other prescriptions weren’t able to … but it DID! I was able to not only have great relief from the pain, but I was able to become mobile again. I was able to go for long walks sometimes even up to 5 or 7 miles a day whereas previously I could hardly walk across the floor. I would like to thank TRU for making this great totally natural product available to people who need it! 1. How does TRUCARE work? Because it permeates the skin, the beneficial essential oils are delivered well below the surface of the skin getting to the muscles and joints, allowing the active ingredients to temporarily relieve aches and pains. 2. Does it have a strong smell? Those who use TRUCARE say it has a surprisingly pleasant smell that quickly dissipates after a short while after being massaged into the skin. This is due in part because of the combination of essential oils being blended together in perfect balance and harmony. 3. Can TRUCARE be used to help relieve headaches? Yes, many who use TRUCARE on their foreheads, necks, and behind their ears say they experience great relief. 4. What type of painful injuries can using TRUCARE help manage? 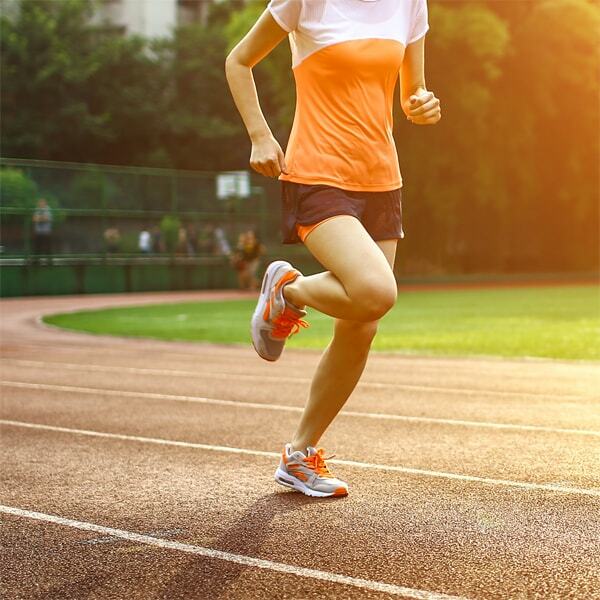 Many kinds of athletic injuries enjoy substantial temporary relief from things such as sprains, muscle tenderness, and muscle and joint injuries, runners knee and Osgood Schlatter Disease. Many users with various types of chronic or short term ailments have noted considerable relief and in a lot of cases for periods of time no pain at all by regularly use of TRUCARE. 5. Can TRUCARE help with the stiffness and pain associated with arthritis? Yes. 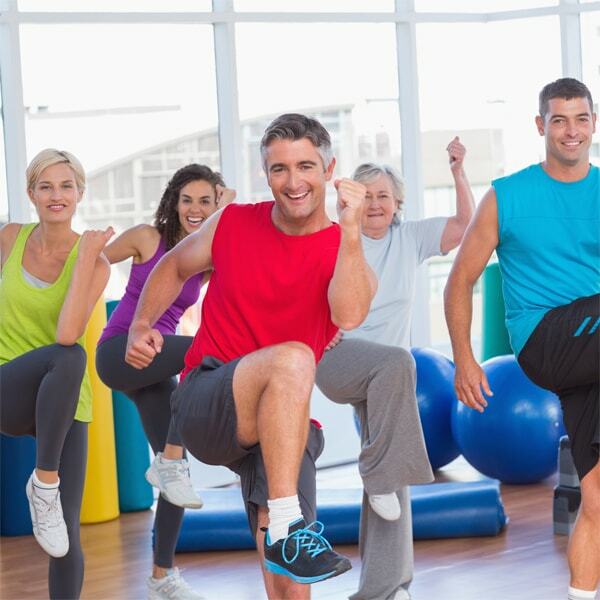 Many customers over the years ‘rave’ about the results they realize from TRUCARE. Health Canada has also allowed us to include relieving the pain due to arthritis in our description. 6. How long will it before I see results? Typically, most people experience results from TRUCARE within about 20 minutes. 7. How often should I use TRUCARE? You can use TRUCARE as one time daily application or up to 4 times for more severe conditions. 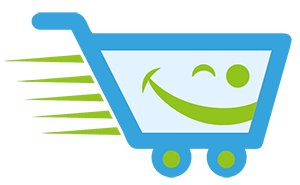 Join Today To Buy & Save! Disclaimer: Statements in this product description are approved exclusively by Health Canada in natural product certification #80056800. These statements have not been evaluated by the United States FDA. This product is not intended to diagnose, treat, cure, remedy, or prevent any disease. Consult your health care practitioner before using this product.